Some state-funded Medicaid services that support thousands of people with severe mental illness could disappear if proposed rate cuts are approved. Providers who help people say they can’t absorb a proposed 25% reduction in reimbursement rates. Maine’s Department of Health and Human Services says the rates aren’t final, but at least one provider is already cutting back. Everyday tasks like going to the grocery store, can feel insurmountable for 63-year-old Sheryl Lee. She has bipolar disorder, anxiety, and PTSD. Recently, Lee says she’s also had thoughts of suicide. Last year, she started working with a case manager to help her stabilize and accomplish daily tasks. She says her case manager is the only person she can count on for support. The service that Lee relies on is in jeopardy, according to her provider, because Maine’s Department of Health and Human Services has proposed drastically reducing the reimbursement rate. “We barely break even,” says Lee. Mary Haynes-Rodgers is executive director of Portland-based Shalom House. That would affect 270 people who get these types of services through Shalom House. People like Sheryl Lee — whose original provider has already ended the service. “If we were in the community integration business today, and the rates as they are go through, we would be out of business, no question about it,” says Mike Tarpinian, president of the Opportunity Alliance, the community action agency for Cumberland County. When DHHS first announced the proposed rates last March, Tarpinian says he knew his program wouldn’t be sustainable. If these final rates go through, he thinks he’ll have company. “I believe many, many of our colleagues will be saying, ya know what, we just can’t continue,” Tarpinian says. Providers are worried about community integration for their clients and also about medication management. The proposed rates would give psychiatrists a boost. But the rate for nurse practitioners and physician assistants would be cut by more than 40%. 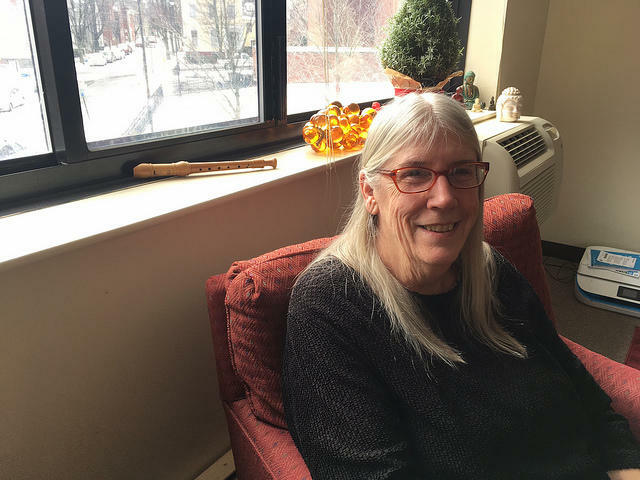 The problem, says Betsy Sweet, who lobbies on behalf of behavioral health organizations, is that Maine has a shortage of psychiatrists. “If we got to a place where the rates that we had provided, and the rates that we implemented, weren’t sufficient for appropriate service delivery, then I think we would have failed,” says Alec Porteous is deputy commissioner of finance for DHHS. He says the department spent more than a year reviewing MaineCare rates for mental health services. “We think the rates we’ve come up with certainly support continued delivery of the services,” he says. Porteous points out that 23 services would get a boost, while 15 would see a decrease. Mary Haynes-Rodgers of Shalom House says she’d like to see some of those increases devoted to community integration. As it is, says Deborah Taylor, the president of Sweetser, the service has essentially been flat funded for 10 years. If at the same time you compare that to what’s happened to Consumer Price Index, we’ve lost ground, probably 20% in that 10 year period of time on our rates,” says Taylor. She says the reductions could affect 5,600 clients at Sweetser. Alec Porteous says DHHS is still accepting feedback. The next opportunity will be on February 9th when department presents the proposed rates to the Health and Human Services Committee.